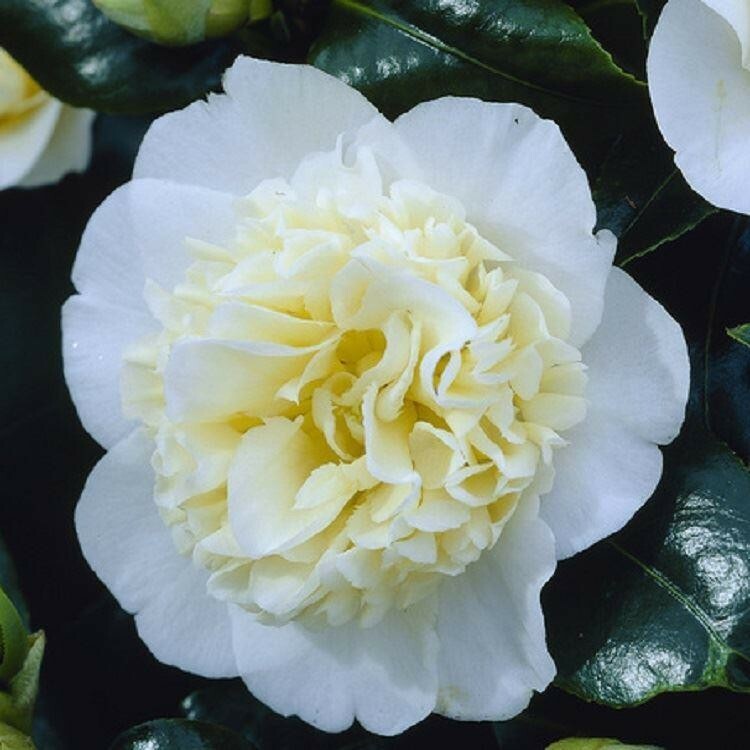 Camellia Brushfield Yellow is one of the best varieties around, producing large quantities of flower. It will form a dense evergreen bush with upright shrubby growth. Large outer petal of an antique white shade surround the centres of primrose-yellow. When covered in these, the whole plant almost takes on a Lemon hue. If happy these plants will produce literally masses of flowers that fall from the plant when they are done and create a beautiful carpet around its base. 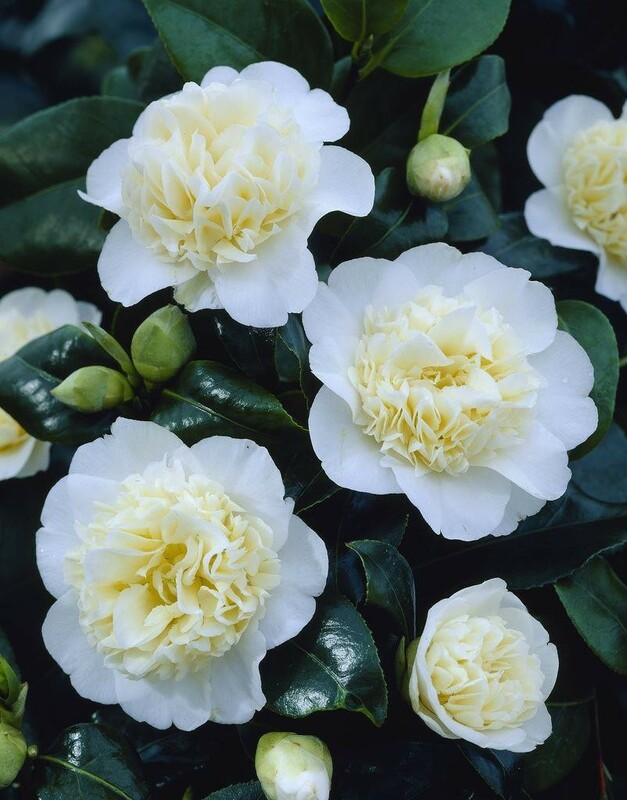 We recommend planting in a spot that does not get strong sunshine in the morning, as this prolongs the life of the flowers when they are blooming. Supplied in approx 3 litre containers.